Because of the increasing popularity of Office 365, now almost every other organization has upgraded or is considering to upgrade to Office 365. This is where Office 365 Migration comes in. One of the factors that influence of a lot of these organizations to switch to Office 365 is the fact that it is fully cloud-based, you can access your email, files and Office programs from any location and any device. 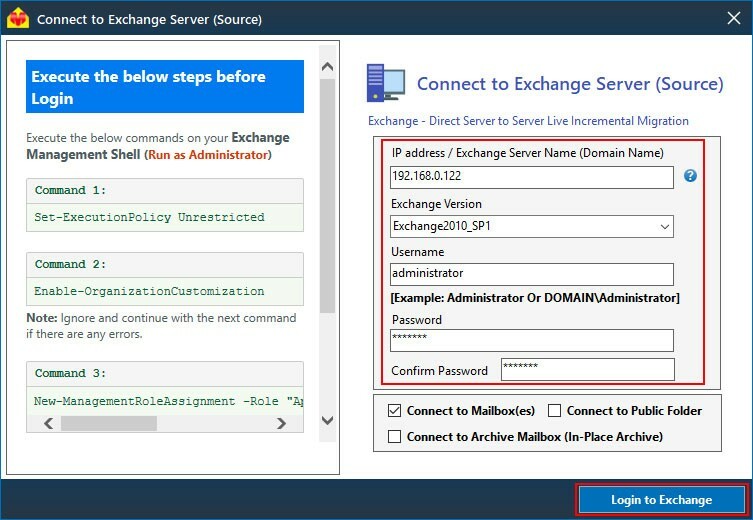 Your old on-premise Exchange deployment might be missing out on a lot of new features and security enhancements. So, if your organization wants to stay ahead of the rapidly evolving security challenges and want to make use of all cutting-edge features, then upgrading to Office 365 is your best bet. But before migration you should have a proper plan in place. Means how many mailboxes has to be migrated, the scale of migration, the method to be used for migration etc. Every organization have their own projects, some classified information, records, confidential files like HR contracts etc. Sometimes it may be deleted. There is also a chance of your valuable data leaking to someone outside the organization. For this reason, the security of all your data should be given utmost priority and what better way to do that than by making use of all the data security features natively supported by Office 365. 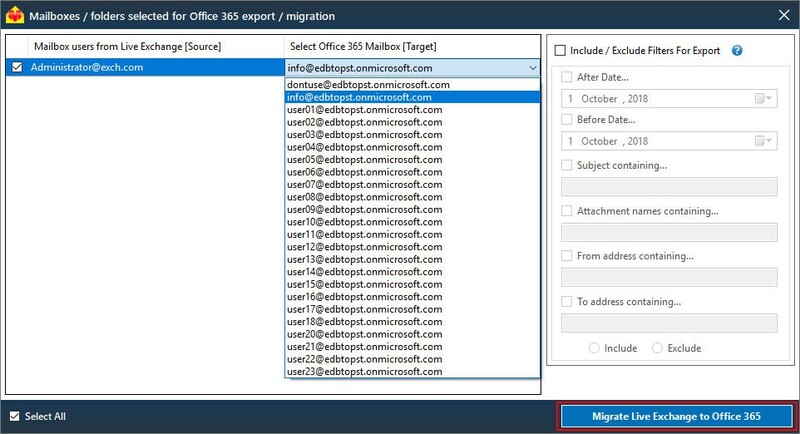 Select all mailboxes that you wish to migrate. And select ‘Migrate to Destination Office 365’ button. 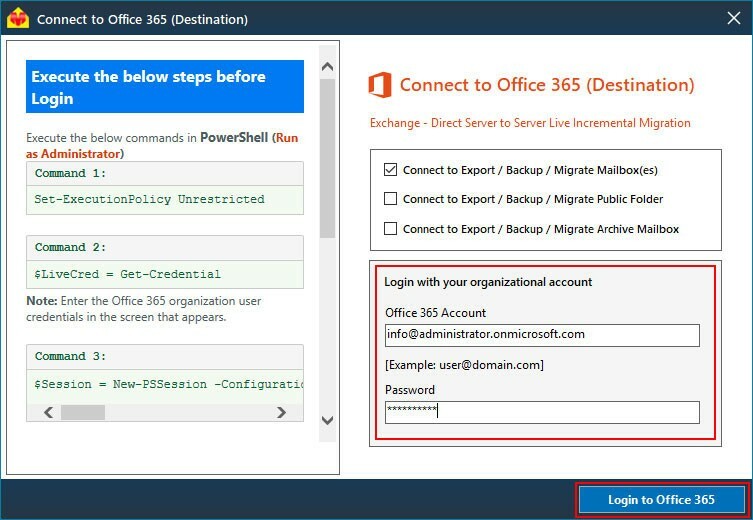 Enter the Office 365 account credentials to connect to your Destination Office 365 tenant and click ‘Login to Office 365’. 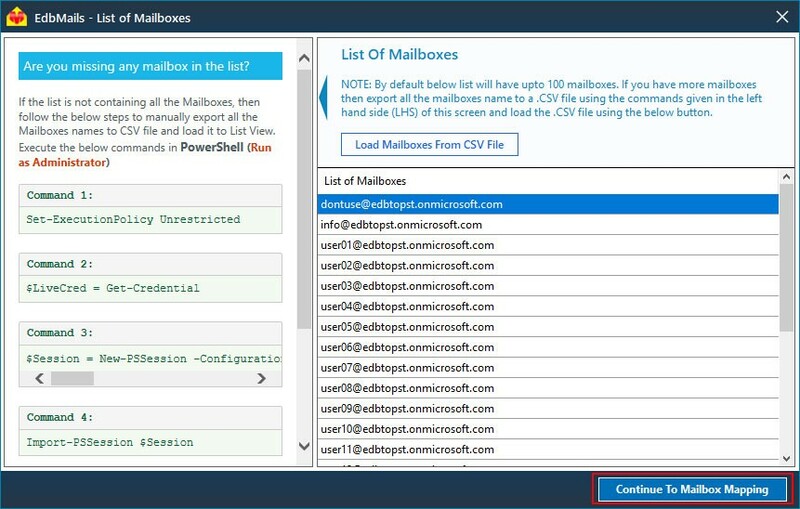 Then verify all the required Office 365 mailboxes are listed and click ‘Continue to Mailbox Mapping’. 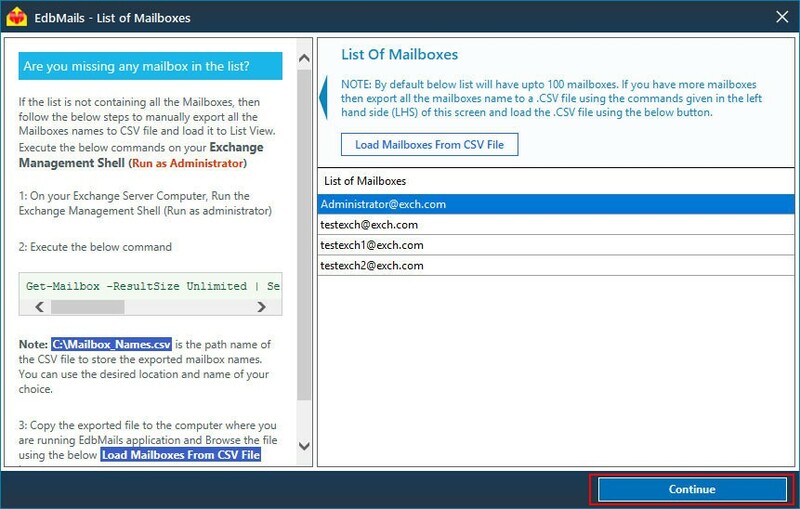 Then you should map the source exchange mailboxes to requisite target Office 365 mailboxes and click ‘Migrate Live Exchange to Office 365’. 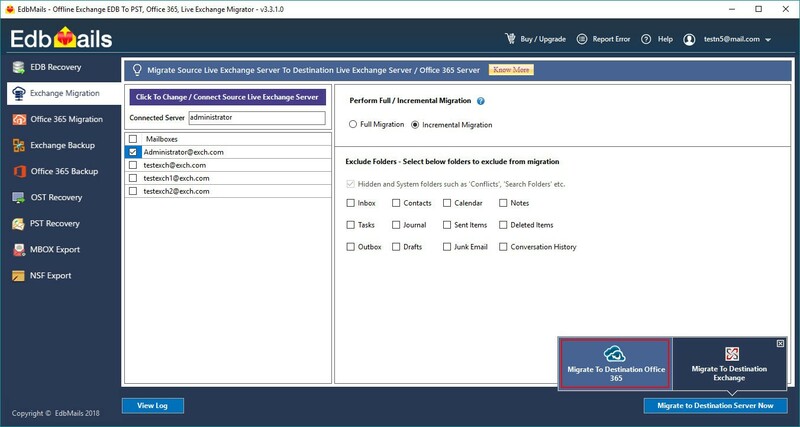 Below picture is screenshot during the complete migration process. Once the migration operation is completed, ‘Migration operation has been completed.’ Message will be shown.